Toxic algae leads Ohio to designate western Lake Erie as "impaired"
TOLEDO, Ohio -- Ohio is designating -- for the first time -- the entire western end of Lake Erie as an impaired waterway because of the toxic algae that has fouled drinking water and closed beaches in recent years, officials said Thursday. The shallowest of the Great Lakes has seen its largest algae blooms on record over the past decade, fueled mainly by farm fertilizers washing into the lake. Until now, Ohio has resisted calls by environmental groups and some political leaders to issue an impairment declaration, saying federal regulators didn't have standards to trigger such a decision for the lake's open waters. Officials within Ohio Gov. John Kasich's administration also have been worried that calling the lake impaired would wrongly give the impression that it's no longer safe as a drinking water source or for boaters and swimmers. "We have taken unprecedented steps in recent years to put Lake Erie on a better trajectory -- including investing more than $3 billion to improve its water quality," Butler said, CBS affiliate WTOL reports. "While designating the open waters of the western basin as impaired does not provide a magic bullet to improve the lake, the State remains committed to our obligations under the Clean Water Act and to examine emerging science and practices that we can put in place to help improve it." Toledo Mayor Wade Kapszukiewicz said he is "pleased" the Ohio Environmental Protection Agency and Kasich decided to declare Ohio's portion of Lake Erie's open waters impaired. "The step announced today is the most significant policy development in Ohio since the Toledo water crisis of 2014," he said. The algae bloom in 2014 left more than 400,000 people around Toledo unable to drink their tap water for two days. The following year's outbreak was the largest yet. Blooms also have been blamed for fish kills and can sicken swimmers. The new designation comes as a federal judge is considering a lawsuit filed by environmental groups who want the lake classified impaired, hoping it would pave the way for increased pollution regulations. Whether stiffer rules will be mandated isn't clear. 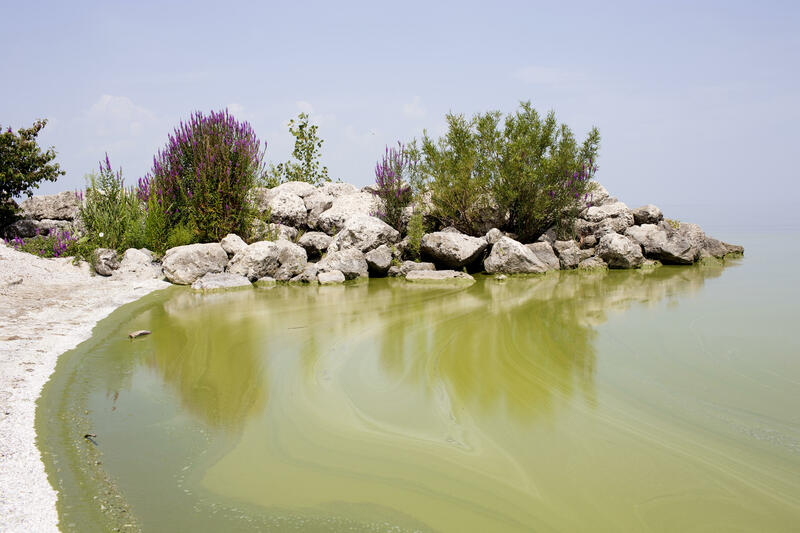 Butler said he doesn't expect the EPA to order any new regulations because Ohio already has a federally approved plan in place to combat the algae that now turns the lake's blue waters into unsightly shades of green most summers. "Voluntary efforts haven't been enough," said Howard Learner of the Environmental Law & Policy Center, which brought the lawsuit seeking the impairment designation. "To be clear, this is a first step and not the ending." Peter Bucher of the Ohio Environmental Council said that without a plan reducing the pollutants, Lake Erie will be "inundated by yearly large-scale algal blooms for the foreseeable future." "I'm very concerned about the negative consequences this could bring for our tourism and fishing industries for very little environmental gain," he said. Ohio's impairment designation covers an area of the lake that stretches roughly 60 miles -- from Toledo to Marblehead -- and is popular with boaters and anglers.